WILL IN CHARGE on Saturday turned back Horse of the Year SHE'S A MANEATER by a length, going all the way in the 1820-metre Legal Light Trophy, lowering the stakes record to 1:54.4. WILL IN CHARGE, offering odds of 6-1, ran the filly into the ground, using his seven-pound advantage to great effect under an equally impressive ride by 1000 Guineas-winning jockey Robert Halledeen. The event turned out to be a match race after BIGDADDYKOOL was announced as an early scratch, leaving SHE'S A MANEATER to chase the five-year-old horse from the off. Ridden flat out by Omar Walker, SHE'S A MANEATER tried hard to get back to WILL IN CHARGE, who straightened with a three-length lead and quickened in the stretch run. Leading riders Anthony Thomas and Ellis dominated the 11-race card, notching a double and a hat-trick, respectively. Thomas, who started the day six winnners clear of Ellis atop the jockeys' standings, won the first two races aboard favourites LIGHTNING MCQUEEN and LAGUNA POINT. Ellis responded with a hat-trick in the seventh to ninth races, RAKSHA (5-2), BAD BOY TRUMP (2-1), closing with a chance ride aboard 18-1 outsider ZUGULU. 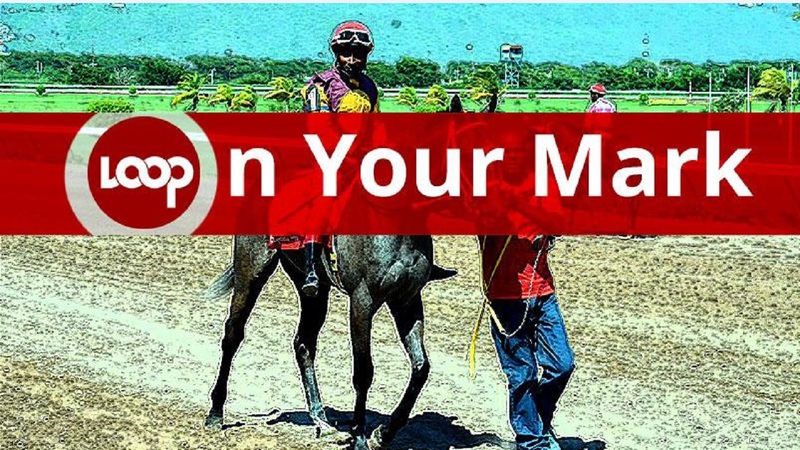 Racing continues at Caymanas Park on Wednesday.